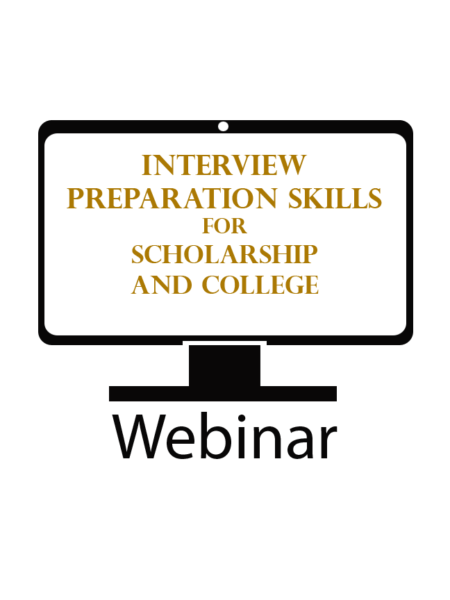 Do you need to attend a presentation that allows you or your student to get more in-depth information and help in tough areas such as writing essays, résumé writing skills, interview preparation and more. Now, you or your student can get specialized information in the areas you need it most. Review the following list to choose the best webinar for you. You must have a computer and Internet access to join. All classes are 60-minute classes that allow you to see and interactively participate in the class. For both classes all participants must be able to call a long distance number at the appointed time. When placing this call you will be charged long distance rates by your long distance carrier. The Scholarship Workshop has no involvement with the rates you will be charged for this call. All registered participants will receive the number to call and further instructions with the class handout. For each class you must have a computer with an Internet connection (at least a 56K modem, cable modem, DSL, or High Speed Internet Broadband Access), Internet Explorer or another compatible browser, and Adobe Acrobat Reader. Special Note for the WEBINAR – If you have a 56K modem only and DO NOT have a cable modem, DSL, or Broadband access to the Internet, you MUST have two phone lines (one for accessing the Internet and viewing the presentation using your 56K modem, and one for calling in to listen to the instructor, Marianne Ragins). We recommend high speed Internet access. Handouts (if necessary) and the telephone number to call in for the class and/or the web-based class site address will be sent approximately one week before the scheduled class time. This class is open to U. S. based students only. You must give a valid e-mail address when registering for a webinar. It will be used for sending class instructions and announcements. Payment for any of the above webinars is non-refundable unless a class is full.